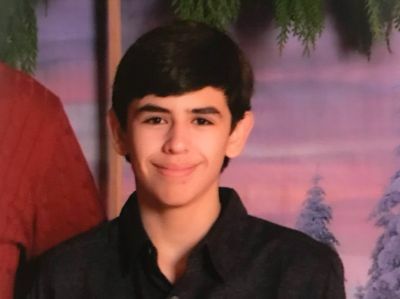 SUNRIVER, OR -- The Deschutes County Sheriff's Office is asking for the public's help finding a 13-year-old boy. Michael Fenicle ran away from his home in the Oregon Water Wonderland Subdivision, south of Sunriver, during the night. Deputies took the report at 6 a.m. Wednesday; county dispatch received calls from two motorists who said a "teenage male" was waving a flashlight at cars on Highway 97 near Lava Butte, at about 4 a.m. Law enforcement searched the area but didn't find anyone. Investigators believe Fenicle may be in the Bend area, possibly trying to get to Portland. He's white, 5'6", 105 pounds, with brown hair and brown eyes. he was last seen wearing a green jacket, black Adidas athletic pants with white stripes on the side, blue Nike shoes and a backpack. Anyone with information in the case is asked to call non-emergency dispatch at 541-693-6911. UPDATE: The Sheriff's Office says the teen was found Wednesday afternoon in a residential area of northeast Bend, and he has been returned home.